Morning Teleportation is an American psychedelic rock band formed in 2009 when Bowling Green, Kentucky, United States, natives Travis Goodwin (keyboards), Tres Coker (drums), and Paul Wilkerson (bass) met up with Chicago transplant Tiger Merritt (vocals/guitar), who had just moved to their hometown for college. In the last few years they have played at Electric Forest Festival, Bonnaroo Music Festival, and Sasquatch! Music Festival and supported The Flaming Lips, Cage The Elephant, Primus and Modest Mouse. Electric Forest is a 5-day, one-weekend, multi-genre event with a focus on electronic and jam band genres, held in Rothbury, Michigan, at the Double JJ Resort. In 2017 and 2018, the festival expanded to 2 weekends back to back, before switching back to one weekend for 2019. The original event was called Rothbury Festival, debuted in 2008, and focused on jam bands and rock bands. The event was not held in 2010. Electric Forest, which debuted in 2011, is co-produced by Madison House Presents and Insomniac Events. The 2015 event drew an estimated 45,000 attendees. Expanding Anyway is the debut full-length album by psychedelic rock band Morning Teleportation. The album was released on Glacial Pace Recordings on March 8, 2011, on both compact disc and vinyl formats. Isaac Kristofer Brock is the lead singer, guitarist, banjoist, and songwriter for the American indie rock band Modest Mouse, as well as his side project band, Ugly Casanova. As a songwriter he is noted for wordplay and frequent use of metaphors, philosophical lyrics, themes of oppressive rural lifestyles, and certain phrases and sayings commonly used in the early to mid-20th century and in blue collar environments. The Shins are an American indie rock band formed in Albuquerque, New Mexico in 1996. The band's current lineup consists of James Mercer, Jon Sortland (drums), Mark Watrous, Casey Foubert (guitar), Yuuki Matthews, and Patti King (keyboards). The band is based in Portland, Oregon. 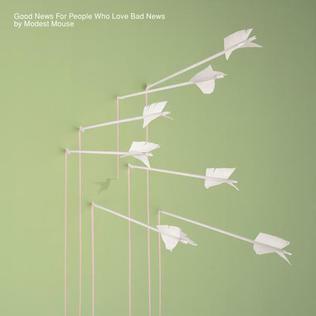 Good News for People Who Love Bad News is the fourth studio album by American rock band Modest Mouse, released on April 6, 2004 by Epic Records. Jeremiah Green, who played drums on all other Modest Mouse releases, did not perform on this album due to his temporary absence from the band. 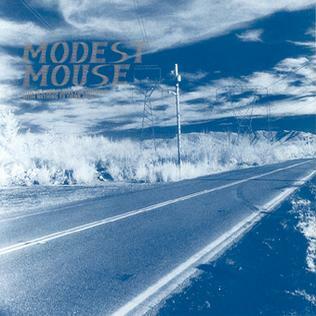 This Is a Long Drive for Someone with Nothing to Think About is the debut studio album by American rock band Modest Mouse, released on April 16, 1996 by Up Records. Many of the album's tracks focus on traveling by automobile and the loneliness associated with rural life. Max Merritt is a New Zealand-born singer-songwriter and guitarist who is renowned as an interpreter of soul music and R&B. As leader of Max Merritt & The Meteors his best known hits are "Slippin' Away", which reached #2 on the 1976 Australian singles charts, and "Hey, Western Union Man" which reached #13. Merritt rose to prominence in New Zealand from 1958 and relocated to Sydney Australia in December 1964. Merritt was acknowledged as one of the best local performers of the 1960s and 1970s and his influence did much to popularise soul music / R&B and rock in New Zealand and Australia. Jal is a pop rock band from Lahore, Punjab, Pakistan. The band originally consisted of songwriter, vocalist and lead guitarist, Goher Mumtaz and vocalist, Atif Aslam and later joined by bass guitarist Omer Nadeem. Founded in 2002, they first became popular playing in Lahore's underground music scene with the release of their song "Aadat". 764-HERO was an American indie rock band from Seattle, Washington. They were active from 1995 to 2002 and briefly reunited in 2012 and 2016. The group released three albums on Up Records, a fourth on Tiger Style Records, and several other releases, including a collaborative single with their frequent touring partners Modest Mouse. Elana Stone is an Australian jazz vocalist, songwriter, pianist, accordion player, and band leader. Her album In the Garden of Wild Things was released in 2006 on the Jazzgroove label. Your Anniversary was released in 2009. Fond of Tigers is a Canadian seven-piece post-rock instrumental band from Vancouver. An article in Exclaim! describes the band's sound: "with cacophonous explosions of percussion and guitar underlying wild strains of trumpet and violin, only to drop out for unexpected, ambient glimmers of a once-roaring piece." Ngũ Cung is a Vietnamese progressive rock band formed in 2007. They were well known for their winning in the talent contest Rock Your Passion in 2007. After Rock Your Passion contest, Ngũ Cung also has become a phenomenon in Vietnam for their exceptional music which is a fusion of rock and traditional rhythm from the Northwest of Vietnam. In 2008, their song 'Cướp Vợ' won the Impressive Composition Prize at Bai Hat Viet Competition. aKING is a South African melodic rock band based in Bellville, a suburb of Cape Town. The band was formed in November 2007 by Hunter Kennedy and Jaco 'Snakehead' Venter, both members of the Bellville-based Fokofpolisiekar, in collaboration with Laudo Liebenberg and Hennie Van Halen (bass). Mizraab is a progressive rock and metal band from Karachi, Sindh, Pakistan, formed in 1997. Founded by vocalist, lead guitarist and songwriter, Faraz Anwar, the band's initial line-up was with Faraz Anwar on vocals, Khalid Khan on bass and Akhtar Qayyum on percussions, since then there had been many changes in the line-up the only consistent member being Faraz himself. The band have been influential on many contemporary musical artists, and have gained a large cult following despite garnering little radio or music video airplay. Peter Hook and The Light are an English rock band, formed in May 2010 by bass guitarist/vocalist Peter Hook, formerly of the influential post-punk bands Joy Division and New Order. The band also features Hook's son Jack Bates (bass), as well as Andy Poole (keyboards) and Paul Kehoe (drums), who both played with Hook as part of Monaco, one of Hook's previous groups. From the first gigs in May 2010, Nat Wason was the group's guitarist, however in July 2013 he was replaced by David Potts, another former member of Monaco. Strangers to Ourselves is the sixth album by American alternative rock band Modest Mouse, which was released on March 17, 2015, two weeks after its initially announced release date of March 3. The album was leaked to the internet on March 7, 2015. On March 16, 2015, the day before the album's official release date, Strangers to Ourselves was prematurely made available for download on Amazon.com and the iTunes Store. Hippo Campus is an indie rock band from St. Paul, Minnesota. They are signed to Grand Jury Records in the United States and Transgressive Records in the UK. The band has performed at South by Southwest, Lollapalooza, Bonnaroo, Summerfest and Reading and Leeds Festivals, as well as on Conan. Steadyfire is an American indie rock band based in Cleveland, Ohio, formed in 2014. The group is composed of guitarist-vocalist Gavin McIntire, bassist Garrett Pavlansky, synth player Jade Marié, and drummer Nick Billinghurst. ↑ Kobylensky, Koby. "Morning Teleportation: Quadrophonic Friends with Benefits". Premier Guitar . Retrieved 23 November 2017. ↑ Nast, Condé. "Tiger Merritt, Vocalist/Guitarist of Morning Teleportation, Dead at 31". Pitchfork.com. ↑ Cohen, Jake. "Morning Teleportation – Expanding Anyway". Consequence of Sound . Retrieved 23 November 2017. ↑ Conaton, Chris. "Morning Teleportation: Expanding Anyway". PopMatters . Retrieved 23 November 2017. ↑ Ilkowski, Kim. "Morning Teleportation – "Calm Is Intention Devouring Its Frailty"". Stereogum . Retrieved 23 November 2017. ↑ Walker, Jerad. "Songs We Love: Morning Teleportation, 'Re-wiring Easily'". NPR Music . Retrieved 23 November 2017.